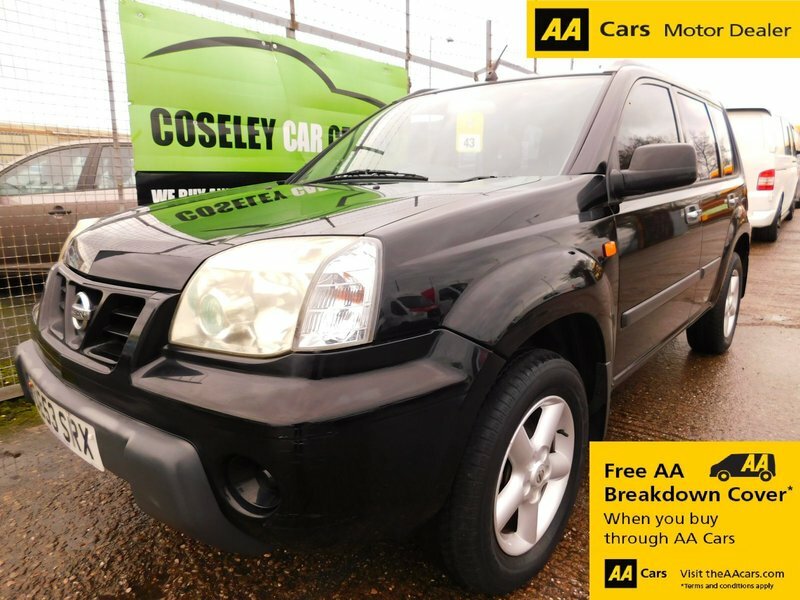 HERE WE HAVE A VERY RARE FIND OF A 1 OWNER, ULTRA LOW MILEAGE FOR THE YEAR, NISSAN X-TRAIL COMING IN 'SPORT' SPEC WITH 'KURO BLACK' PAINTWORK. THERE IS A SERVICE HISTORY SHOWING 6 SERVICES AT 6K, 12K, 23K, 26K, 32K, AND 34K. IT COMES WITH SWITCHABLE 4 WHEEL DRIVE, CLIMATE CONTROL, SUNROOF, CD CHANGER, PRIVACY GLASS, ALLOYS, POWER STEERING, ELECTRIC MIRRORS, CENTRAL LOCKING, ELECTRIC WINDOWS etc etc. THERE ARE 2 KEYS, A FULL BOOKPACK, 3 MONTHS UPGRADEABLE WARRANTY AND 12 MONTHS FREE AA COVER AS STANDARD.